I am sure by now you have all heard of the new craze that is Pokémon Go! I am willing to bet my salary that ninety-five percent of you play it more often than you should (like while you are at work...you rebel you). Not a lot is going on with hockey or the Penguins at the moment (except waiting for Matt Cullen to make up his mind), so why not have a little fun and break up the monotony of "serious hockey talk." In the spirit of all things hockey, Penguins, and Pokémon, a fellow writer (Caitlin Boyer of Blue Line Blog) and I decided to let the geek flag fly. 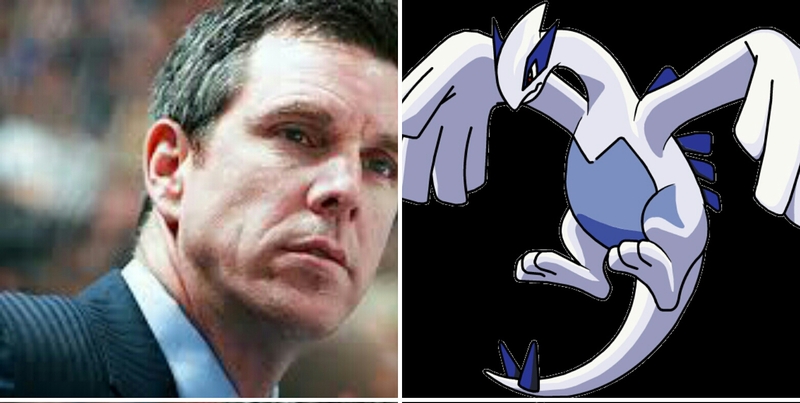 We have taken the entire team (including head coach Mike Sullivan, and a few choice Wilkes-Barre/Scranton Penguins) and compared them to what we thought they would be if they were Pokémon. It's funny, it's childish, and that's just the way we wanted it. Enjoy! CONOR SHEARY:This small but electric player is a Pokémon many enthusiasts hold near and dear to their hearts. I speak of course of the beloved Pikachu. Adorable yet incredibly powerful and skilled are the simplest ways to put this comparison. They might look small, but watch yourself, or you'll be in for a wallop of a shock. Fast, agile, flashy, and can light up any room (like fire) with his smile...these words all describe our majestic unicorn of a captain, Sidney Crosby. These characteristics also describe the Pokémon he is most likely to be compared to - Rapidash. Watch your hands though. If you try to rough him up too much, you may just get burned. The first half of the (ever-growing) Swedish Bikini Team proved to be a harder pick than one would think. We wanted a Pokémon that would encapture not only his great personality, but what a pain he is to play against. 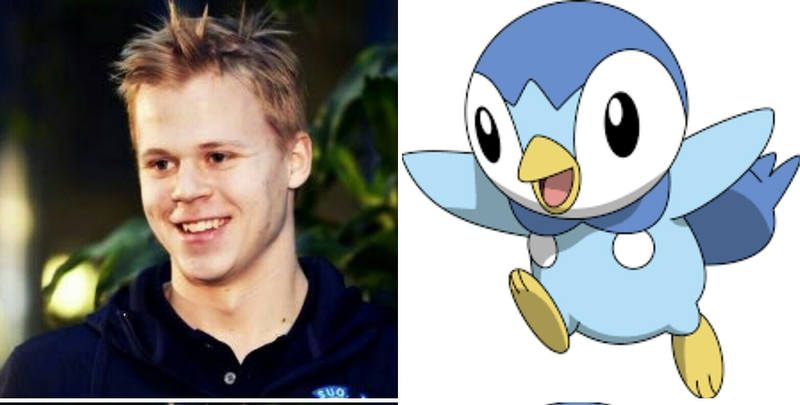 After careful consideration, Hornqvist was chosen to be denoted by the electric Pokémon, Plusle. Why? Like all Pokémon of this type, Hornqvist is electric both on and off the ice. Then again, he can also be sweet, soft and cuddly. Just like a Plusle. Watch out for flying sparks though if he gets too excited. An individual in his own right, few players can out-swag Hagelin. His speed is unmatched and his cat-like agility makes it easy for him to weave in between defensemen. Attacking using that speed, he pounces on the net, sticking away at any chance he can get to score. His golden locks are envied throughout the NHL and he carries himself as if he were royalty (unless you catch his dancing by himself, in that case he is a playful kitten). There is no other character that Carl Hagelin could be besides Persian, the classy cat Pokémon. A quick strike, unyielding strength, and markings (beard) that are used to intimidate it's prey. 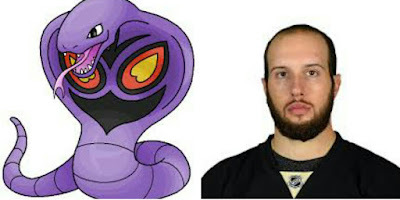 Nick Bonino and Arbok are alike in many ways. Nether of them will back down from a chase once they lock onto a target (in Bonino's case that would be a puck). While Arbok will constrict to expire its prey, Bonino will use his speed to quickly strike the open net. He is true poison to opposition. Now that he is a Pittsburgh Penguin, it is safe to say no one has more fun on the ice than Phil Kessel. It's rare to not see a smile of some sort on his face. His speed is an asset that allows him to pass through a wall of defensemen with ease, much like a ghost. His shot leaves opposing goalies shaking in their skates. Kessel can also be a bit of a trickster-- faking a shot then passing to Hagelin or Bonino for a one-timer while the goalie is off balance. 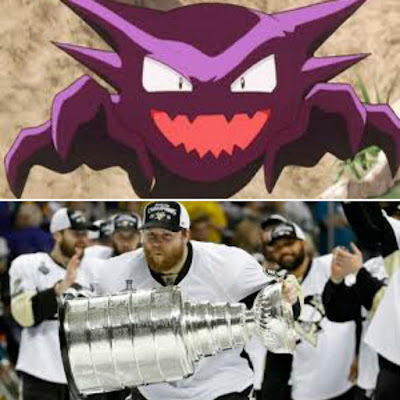 Phil Kessel is Haunter not just for these reasons, but also because the fact that he is now a Stanley Cup Champion will haunt the Toronto Maple Leafs organization (and fan base) for...ev...ver. Our Finnish friend is from somewhat of a cooler climate area, being so close to one of the poles and all. We have chosen Piplup, a little Penguin-like Pokémon, as his representation as it can also be found in more northern areas of the Poké-world. Just like Piplup, Olli Maatta is full of (national) pride and will soon fulfill his duty to serve in the Finnish military. Piplup is also covered in a thick down which would protect him from the bitter cold of a Finland winter season. You will also notice that above Piplup's nose is a crown-like marking which is inspired by the Emperor Penguin, which happens to be the same penguin used by the team. So puff out that chest, Olli Maatta, you have a lot to be proud of now that you are a Stanley Cup Champion. This was an easy pick. 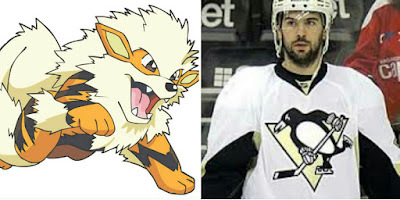 Due to his looks (slightly scruffy) , this defensemen can be compared to Arcanine, the canine fire Pokémon. The two key points that links the two "characters" are that both possess bravery and speed. These traits are obvious in both the man and in the Pokémon. We can also add loyalty as Justin Schultz has inked a one-year extension with this storied franchise. Though underrated when it comes to skill, this tank on skates can hit when it counts. He makes the big plays when it comes to both physicality and scoring. Not only can he take a hit (I lost count on just how many times his head bashed into glass or wooden board), he can dish them out too. When Brian Dumoulin charges at you at full speed, you will feel like you were hit by a freight train. He is, undoubtedly, a Rhyhorn. His one-track mind (like a Rhyhorn) tells him one thing; do whatever it takes. He will not stop and will not let any obstacle get in his way which is a main character trait for a Rhyhorn. However, there is one major difference. Dumoulin has the smarts to know when and where to be physical, but the Rhyhorn has the brain capacity of a pea. Other than that, I'd say they are pretty similar. There are many Pokémon that look like flowers and possess qualities you can find in goalie. Fleury made this discussion and selection a not-so-easy one. After deliberation, careful thought, and no lack of brain busting, Gloom is the choice that was made. 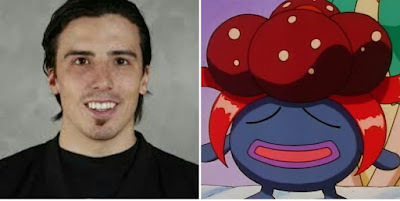 Besides the obvious flower-like blossom atop Gloom's head this Pokémon, like Fleury, is not everyone's cup of tea. That's what makes the man and the Pokémon even better. Gloom emits a nectar that is used to attract prey and is stubbornly sticky-like the way pucks seem to just stick in Fleury's glove. Gloom also emits a foul smell, which is (metaphorically speaking) what Fleury is between the pipes. To an opponent, Fleury is the foul smell of defeat. 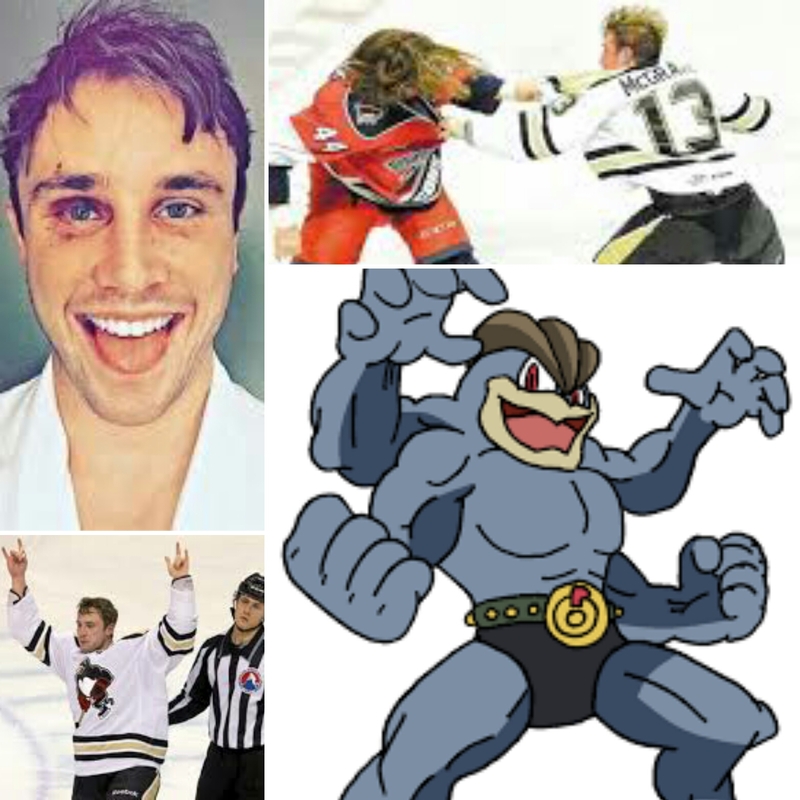 Riddle me this: What Wilkes-Barre/Scranton Penguin is known for being steadfast, having a hot temper, and can proudly throw (and take) a mean punch like the Pokémon they call Machamp? That would be Mr. Patrick McGrath. His grit and fire are something that would make even Tom Sestito suggest a chill pill. He has a champion heart and will defend his territory to the best of his ability, both with stick...and fist. But what of the man leading this stellar group of men (including McGrath)? What of Mike Sullivan? What Pokémon is he or is he a trainer? After some thought it was concluded that he has to be a Pokémon but not any normal Pokémon. He is a legendary Pokémon. Not just any legendary Pokémon though. Sullivan is Lugia. Lugia has the power to control fighting Pokémon and calm them. Therefore Sullivan being in charge of his players to a certain degree fits this. He was able to take a team fighting to stay afloat during a season of hardships and calm the storm by implementing his blue-collar work ethic. Highly intelligent and protective are two other traits the pair share. Because of how rare and special both Lugia and Sullivan are, it makes them both invaluable.